Bradley Davis is the Chief Technology Officer and Co-Founder of Enclavix, LLC and the technical visionary behind VentureWrench. Enclavix is an AI – based software company that creates online tools to accelerate innovation and entrepreneurship. The company has received over $1.2 million in funding from the National Science Foundation through the SBIR program to allow the launch of the Machine Learning – powered VentureWrench, the free online library of curated startup resources to help entrepreneurs get quickly to success. Brad was a Co-Founder and the Chief Technology Officer of DoBox, Inc., the award-winning provider of residential gateway software and parental control solutions for the broadband gateway industry, designed to protect kids and families online. Mr. Davis was the chief visionary and technical strategist, enabling DoBox to deliver the industry’s leading parental control solution for broadband gateways. It was this technology that led Netopia, Inc. to acquire DoBox. Bradley Davis has nearly 40 years of experience in technical management and executive roles. He has worked as a software architect and lead developer in a broad range of technology areas, including networking, operating systems, knowledge/AI systems, semantic networking, applications and tools. Mr. Davis is a Computer Scientist trained at the University of Utah with extensive entrepreneurial experience and deep software expertise. His many years of work as research staff at the University of Utah include work and management roles on Federal and corporate projects at the university. 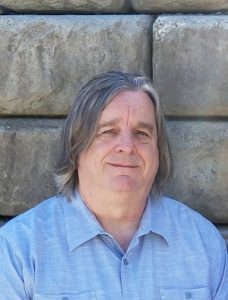 Mr. Davis spent 10 years working on a project called the Computer-Based Education Software System (CBESS) during his early career as research staff at the University of Utah. He was one of the principal architects of this system and, once it was licensed to Darbick Instructional Software Systems, he led all development on the system. In his role as the CTO and VP Engineering for Enclavix, LLC. Mr. Davis leads the development of the Machine Learning and semantic networking systems core to Enclavix solutions. Before co-founding DoBox, Brad worked as a senior developer and architect at US Robotics/3Com, where he developed new product strategies for wireless LAN, ISDN, videoconferencing, advanced IP networking, home networking, and hotel data and network security technology. 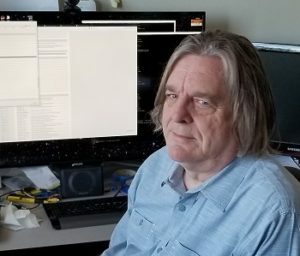 Mr. Davis was a key member of US Robotics’ software and systems architecture group, and served as a representative to the Internet Engineering Task Force (IETF), which shapes Internet policy and new Internet-related technologies. Prior to 3Com/USR, Mr. Davis was the Sr. Architect for internationalization at Zinc Software, now Wind River Systems (WIND), Chief of Software Development for AI-based education solutions at Darbick Instructional Software Systems and past president of DSL, Inc., an early innovator in CAD software tools. He conducted his undergraduate studies at the University of Utah in Physics and Computer Science, which subsequently led to a number of research projects in applications, artificial intelligence systems and semantic networking at the University of Utah’s Computer Science Department and Center for Software Sciences. Earlier in his career, Mr. Davis co-founded and served as a Trustee of StageRight TheaterCompany, a local producer of classic theater, where he served as the Technical Director.